Jennifer Read Hawthorne is an award-winning author/editor who specializes in editing full-length non-fiction book manuscripts. Genres include business, self-help, spirituality, health, memoirs, and how-to books. She and her team are also available to write or edit book proposals, website copy, articles, marketing materials—anything that needs to be perfect before being presented to clients or the public. As a successful author, editor, and writing coach, Jennifer has developed a unique ability to work with authors at every stage of their work. 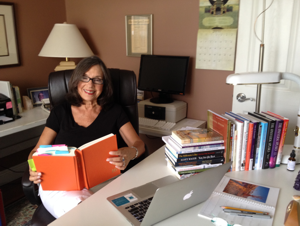 In addition to line editing and copyediting, she is gifted in evaluating book-length manuscripts and giving big-picture feedback on the structure and organization of any length material. Her advanced analytical and organizational skills are a proven asset to clients in every capacity. She is available for ghostwriting for selected clients. Knowledge as a published author of what it takes to bring a book to a publishing/marketing level. Ability to give honest, objective feedback with heart and sensitivity. Ability to make information accessible for the intended audience. Expert in conversational writing. Works two to five times faster than industry standards. Ability to integrate material from several co-authors into a consistent voice. Ability to work with non-native English speakers to ensure proper use of standard accepted English phraseology without compromising the essence of their concepts, information, or message. Master of punctuation, grammar, sentence structure, organization, and flow. Exceptional editors and proofreaders on staff (all genres, including fiction). Jennifer’s extensive writing and editing experience includes books, journalism, magazines, technical documentation, memoirs, and poetry. She is the author/editor of seven books (four bestsellers), including the #1 bestsellers Chicken Soup for the Woman’s Soul and Chicken Soup for the Mother’s Soul. Her books have sold more than 14 million copies and have been translated into 35 languages. Jennifer has written articles for numerous national publications, including Ladies Home Journal, Affluent magazine, Women’s World, and Entrepreneur Magazine. In 2008, she was featured in a cover story for the physicians’ magazine Radius. In addition, she has written hundreds of computer software user manuals and business procedure manuals for companies. Jennifer holds a bachelor’s degree in Journalism from Louisiana State University and has taught business and technical writing at the master’s level and in corporations such as AT&T, Delta Air Lines, and Union Pacific. She has also taught English as both a foreign and second language in the U.S. and abroad, making her uniquely qualified to work with non-native English speakers.